NAPERVILLE, Ill. (WLS) -- Those who have served and are serving our country are being remembered this Veterans' Day weekend with a special memorial in the western suburbs. 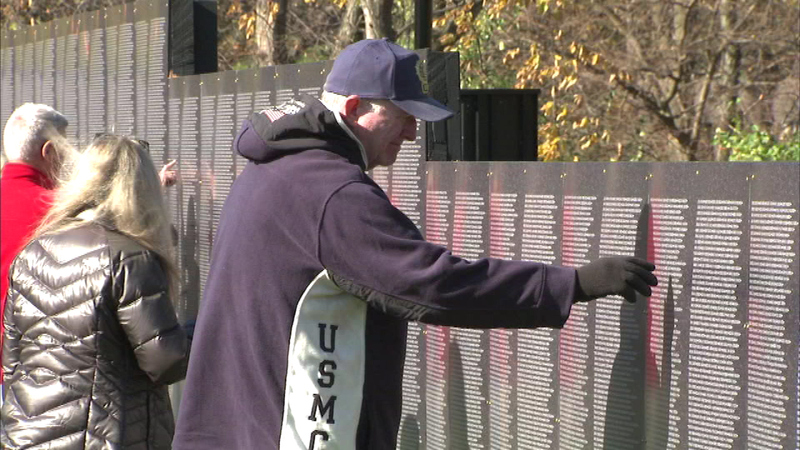 Naperville is hosting a replica of the Vietnam Veterans Memorial Wall next to the Healing Field of Honor, where about 2,000 American flags are posted for those who were killed in action. Volunteers helped the park district set up the Healing Field of Honor on Rotary Hill in Naperville on Friday. The city is also honoring 11 Naperville men who died in Vietnam. Their names will be memorialized with plaques at the Healing Field.